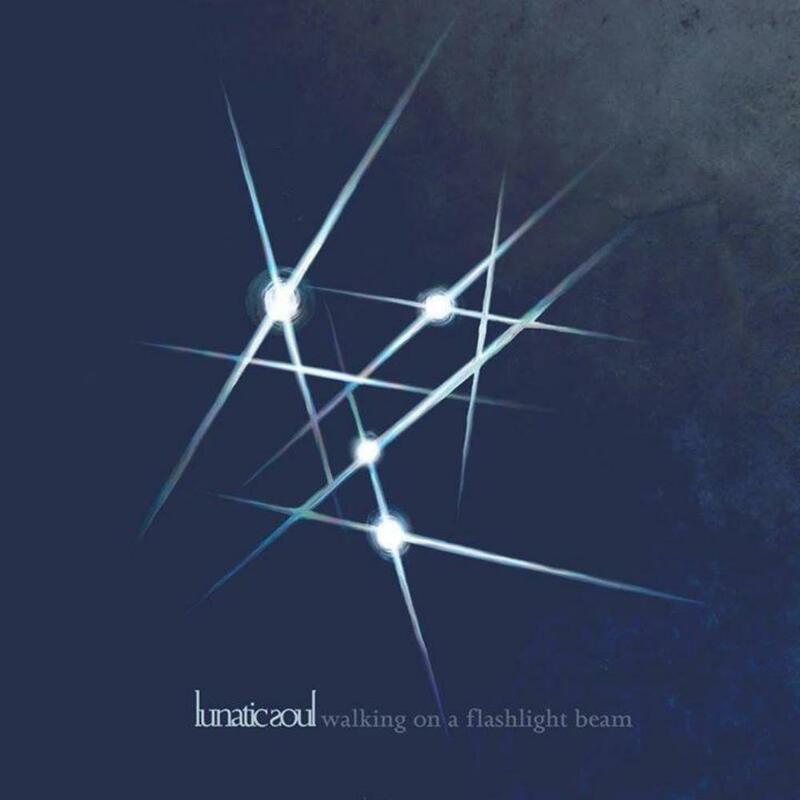 I'll come right out and say that Lunatic Soul's new album "Walking on a Flashlight Beam" was my most anticipated album of 2014. Why? Well, Mariusz Duda (of Riverside fame) has created such a brilliantly natural sound in his side project that it has become one of my favorites, not to mention my family's, as well. We simply can't get enough of the acoustic, airy atmospheres combined with the dark, throbbing feelings that swing between transcendence and despair. Lunatic Soul's first three albums are masterpieces of emotion and epiphany, and so any follow-up would have to be something special. Duda, however, has delivered in the most unexpected, brilliant ways possible. "Walking on a Flashlight Beam" (WOAFB) is an experience that is as much about lyrics and feelings as it is about music. You need the whole picture in order to understand it truly. Duda has been very forthcoming with theme for this album, as it seems to be rather personal. This album is about those people that prefer to shut themselves in their rooms/homes in order to immerse themselves in the creations of others: films, books, music, games, etc. I think it strays between this setting, however, and the same type of person that shuts themselves up, preferring to create art in private. Like I said, this theme is important to the music. WOAFB is full of bleak tension, cold sublimation, and beautiful simplicity. Duda was inclined to create this album with a wide variety of ethnic instruments, tones, and sounds; from cold trance beats contrasted against radiant acoustic guitar to world music influences combined with a new addition to the sound palette of Lunatic Soul: a subtle, heavily distorted electric guitar that crafts some charging, tumbling grooves. Duda has really expanded the sound of his pet project, and it impressed me to no end to hear the vast variety of sounds that were able to come together into a unified, cohesive mix. Sometimes it feels like Duda has gone post-rock, such as in the opener "Shutting out the Sun". Sometimes Duda simply sings a beautifully wrought melody, as in the spectacular "Treehouse" or one of my favorites, "Gutter" (the chorus will be in your head for weeks). Yet, sometimes Duda just wants to lay down an incredible bass-driven instrumental section, as in the winding, complex "Pygmalion's Ladder". Every track really feels just right. "Cold" feels, well, cold. It feels bare and desolate, with a simple melodic line added to enhance the stark feelings present. Duda is so good at expressing emotion in his music. Yet, this album has really impressed upon me how good he is at creating instrumental sections, as this album is full of them. The supremely subtle title track is an amazing example of this, as Duda builds and builds layers and layers of melody, harmony, tone, and effects. In the end, this album is so concentrated and makes so much sense from track to track that I can barely pick a favorite. This might be my album of the year. Don't be surprised if it is. I know I sound like a Duda fanboy (which I kinda am), but this album reaches the heights of the last three, and then expands on them. Incredibly catchy, wonderfully complex, and darkly eclectic, "Walking on a Flashlight Beam" is a journey into a confined consciousness of creativity, privacy, and enigmatic genius. Duda has once again proven his capabilities.